If you watch a lot of anime, you’re very familiar with the classic school anime conundrum of “Does our class produce a café or a haunted house??!! Choices, choices! 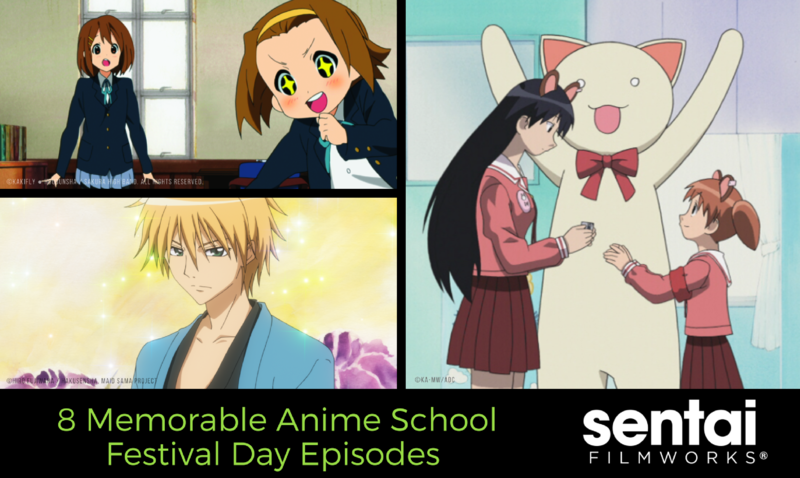 !” The school festival trope is often used, not only because it’s a great way to see characters interact, but also because it’s a big part of Japanese students’ lives. In Japan, yesterday (November 3rd) is often celebrated as national Culture Day. It’s around this time that schools usually hold their culture festivals. Even now, as Japan is ahead of us by around fourteen hours, students, alumni, and families are enjoying a variety of food stands, club events and classrooms turned into temporary food or entertainment establishments! Students are usually in charge of everything for the festivals, relying mostly on their teamwork and learned skills. It’s more than an opportunity to show off what they’ve been learning; it’s a way to give back to the community. A lot of hard work goes into these festivals, but there’s also a lot of fun involved (and often a good chunk of hilarity). On top of that, these festivals offer a glimpse at an individual school’s culture, which is a unique opportunity for students of other schools and alumni. With that in mind, we’ve gathered some of our most unforgettable school culture festival episodes. Take a peek at the spirit of these titles! The aforementioned plight of every Japanese anime class ever is broken with this episode. Chiyo, as class president, institutes a suggestion box to figure out their theme. The result is unequivocally a unique event: a stuffed animal exhibition! Even though there’s another culture festival in Episode 16, this one simultaneously exemplified and defied the trope wondrously. The class president at this formerly all-boys school has a secret, and with this crazy culture festival gone awry, it may get leaked! 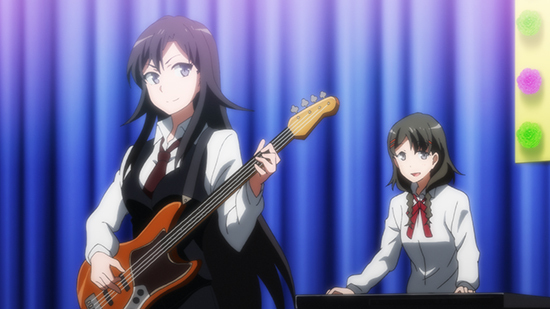 Not only is Misaki trying to make sure the festival goes off without a hitch, but also trying to make sure the boys in her class don’t ruin everything they’ve worked for. Luckily, she’s had some experience in a café, and has a pretty attractive guy who’s interested in helping her out. Though technically, the festival goes from Episodes 11 through 13, a good chunk of the action happens right smack in the middle. 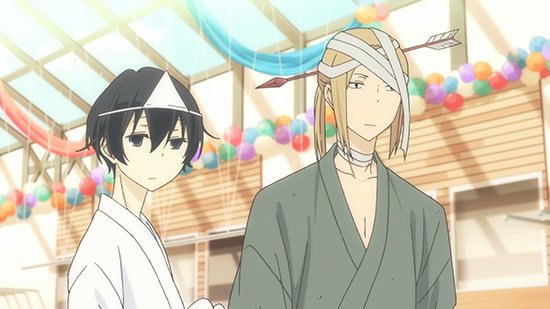 Hachiman’s job is to capture the festival on film and, to his little sister’s surprise, actually tries at it. 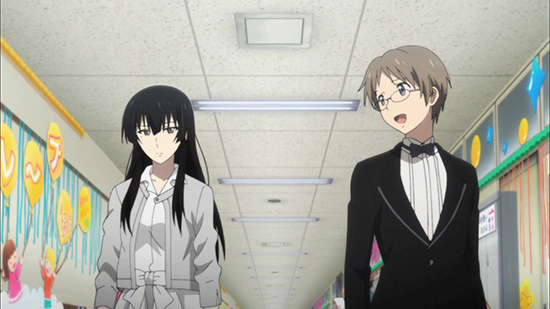 Meanwhile, jealousy constructs quite the finale as Hachiman attempts to help Minami… but at what cost? This show certainly delves deeper than its name, and will get your brain wheels turning as it asks many a philosophical question regarding society. With shadows and killers, it’s easy to forget that these characters also live normal lives. For their annual cultural festival, Yu’s class will be putting together a group-dating café. 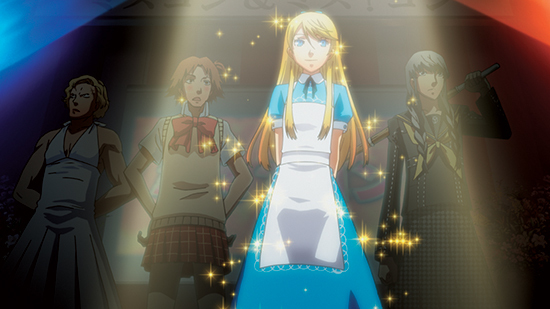 Meanwhile, Yosuke signed up all the girls in their group for a beauty pageant. Comedy ensues with all the boys ending up participating in a drag beauty pageant (revenge from the girls), and the café is a bust. This episode takes the cake for the best revenge. 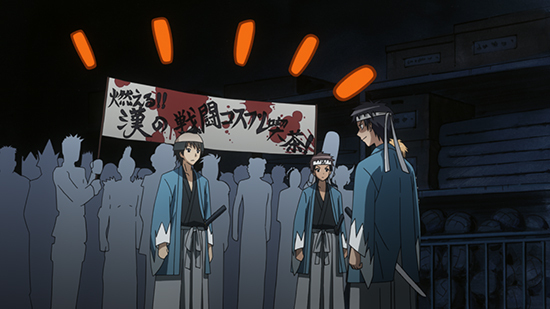 Despite playing in a supernatural world of shinigami, demons, and restless ghosts, RIN-NE remains faithful to the slice-of-life school story formula. 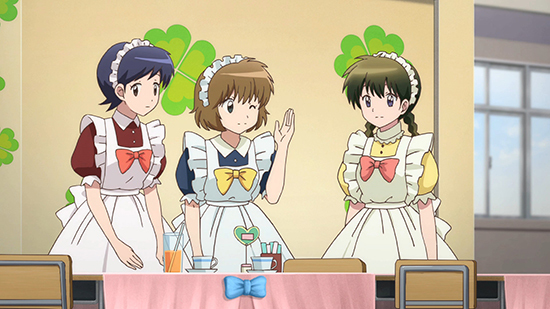 Therefore, Rinne, Sakura, and Jumonji still get to enjoy a school festival episode, complete with a maid café AND a school play. Of course, being a Rumiko Takashi tale, this adventure comes with its own twist, including a possessed wig and a pumpkin-headed specter. It may not be your average school festival episode, but not much about Sakurako - show or character - is very typical. Shotaro’s school resembles the quintessential culture fest, but he and Sakurako don’t play games or eat sweets, they go through an old office and sort bones! At least that’s… educational! The school festival the light music club was preparing for is underway! However, Yui - who was going to sing - lost her voice! 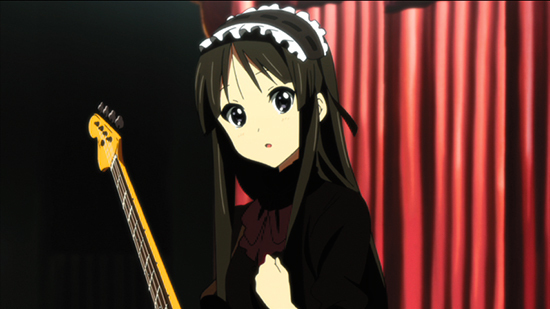 Mio’s nerves about being the main visual on stage threaten to ruin the entire production. Lucky for her, she’s got amazing friends in the club, and they’re with her - no matter what. Between the food tents, cafes, haunted houses, and the club and athletic events, the school cultural festival is a great expression of Japanese culture and student hard work. What gets you in the festival spirit? 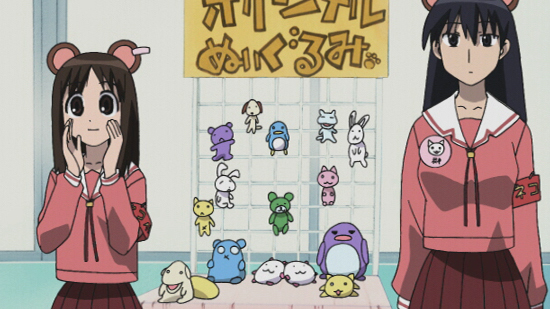 Which anime cultural festival would YOU want to participate in? Let us know via Facebook, Twitter, Tumblr, and Google+!